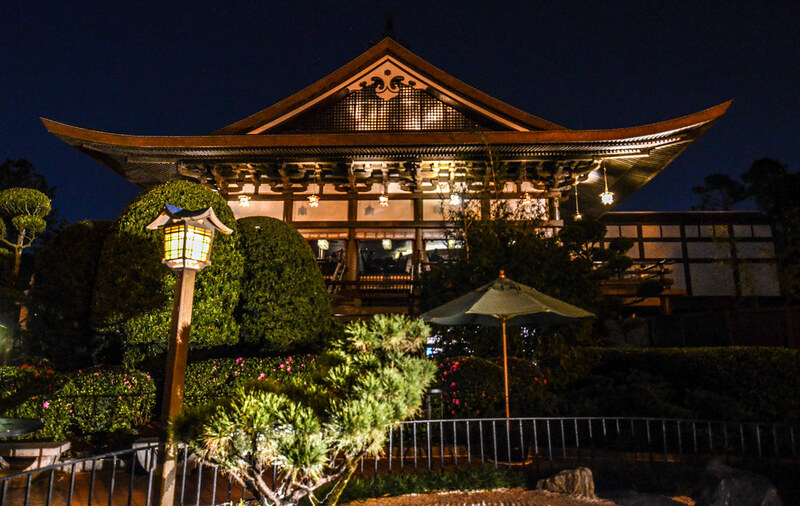 Tokyo Dining is a table-service restaurant in Epcot’s Japan Pavilion. 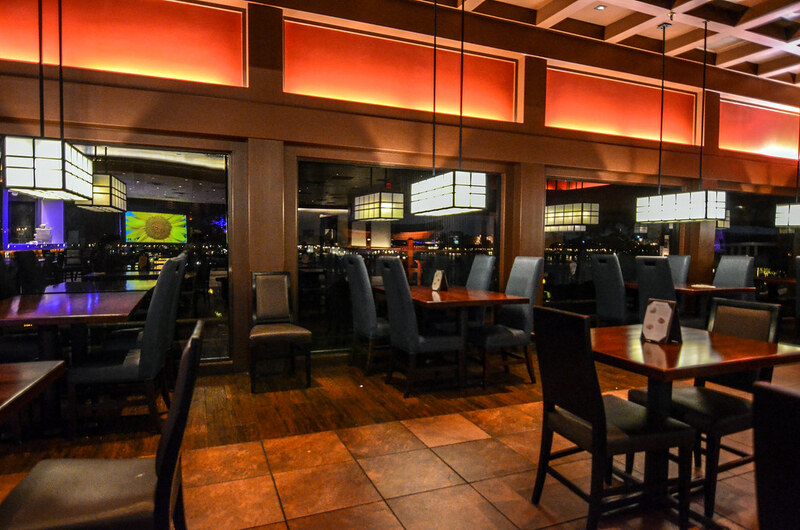 The restaurant serves Japanese fare and has a very modern vibe with views overlooking World Showcase. Sitting on top of the Mitsukoshi Department Store, Tokyo Dining shares the 2nd floor with Teppan Edo. Tokyo Dining does take part in the Disney Dining Plan and also accepts Tables in Wonderland and a 10% Annual Pass discount. This review will cover our dining experience at Tokyo Dining and will include photos as well as our thoughts on the restaurant’s value. There are Disney restaurants that are there to let guests know where you’re dining. Instead of fitting into the setting, they are telling guests what the setting is. Not that there isn’t anything wrong with that but World Showcase generally does a good job of just placing the restaurant inside of a certain pavilion and letting it rest there instead of being an over-the-top stereotype of what that country’s dining scene is. A few of the restaurants could actually fit in the country they are supposed to be portraying, as opposed to showing guests what dining in that place would be like. Tokyo Dining certainly fits that bill. The name of the restaurant alone should tell you what it’s going for. Tokyo Dining is similar to what you may find at an upscale restaurant in, you guessed it, Tokyo. The restaurant has clean lines and an open concept. The lighting inside is subtle, relying on the views of World Showcase as the main draw. With wide and long windows facing that direction, it’s a beautiful place to sit in and take an Epcot evening. No, the theme doesn’t transport someone to Tokyo. But it is similar to what you might find in Tokyo and I think that’s the goal. Further back in the restaurant is an open kitchen where you can watch chefs prepare sushi. There’s also a screen featuring some of Japan’s iconic sites. If given the option, I’d definitely prefer to be closer to the windows than over by the screen. As for the food, Tokyo Dining serves sushi, teriyaki, tempura and udon. All of the prices hover in the $20 range, with a few entrees slightly lower and others creeping into the $30 range. Here’s a closer look at the menu. 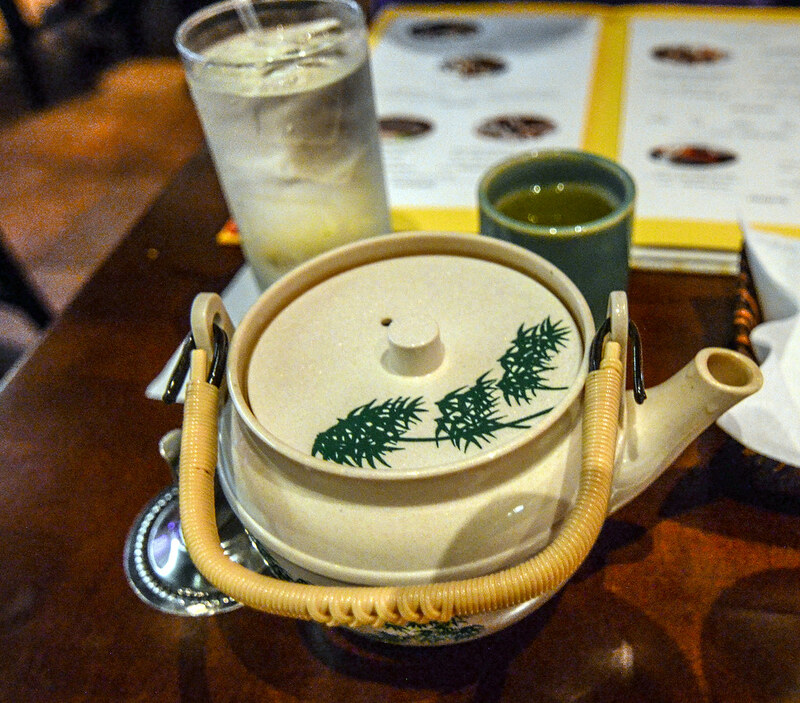 Melissa ordered green tea to start and we both really liked this teapot. The tea was good but I mainly just wanted to show you this teapot. 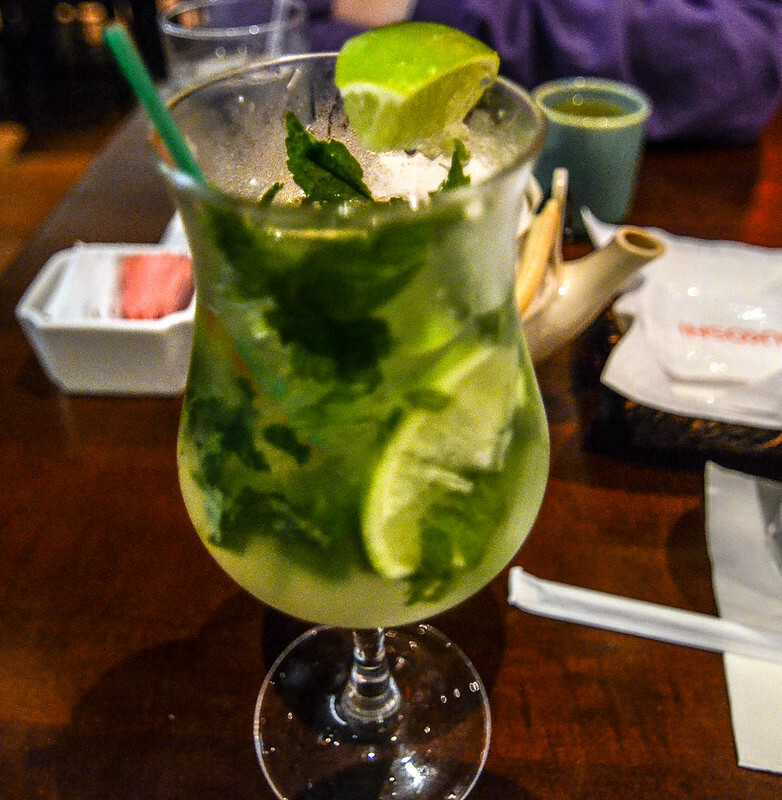 I had a Japanese Shiso Mojito that was very refreshing. The drink had a nice blend of lime and mint flavors although it wasn’t very strong in terms of alcohol. For dinner, I went with the Bento Box which was way too much food. We were on the Disney Dining Plan at the time and I’d definitely recommend this dish if you are on the plan, as well. 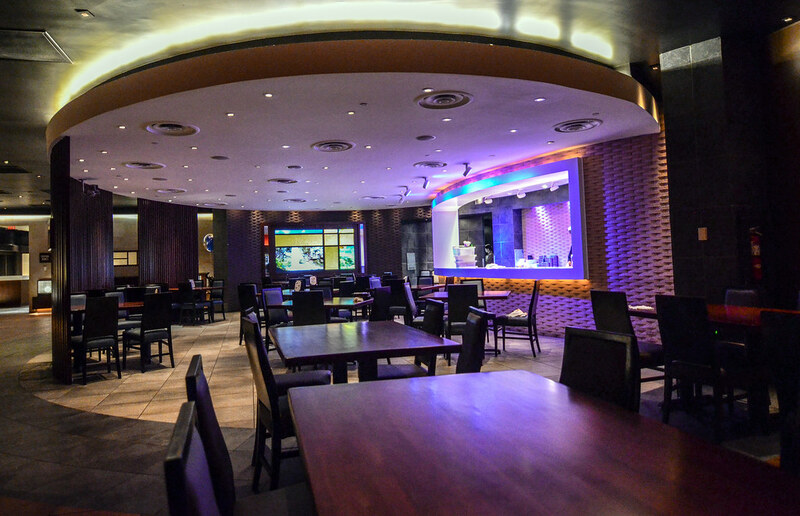 It’s easily the best value and gives you a taste of nearly everything that Tokyo Dining offers. As for the individual components of the Bento Box, I really enjoyed the Sesame Ginger dressing on the salad. The Tuna and Poke on the salad was delicious and fresh. The Chicken Teriyaki was the worst option served, although I did like the Teriyaki sauce on it. Unfortunately, the chicken was fairly dry and relative to the other aspects of this dish, this was pretty disappointing. I thought the Tempura was pretty good, with good batter as well as not being overly greasy. I especially enjoyed the Tempura Shrimp. Moving on to the New York Sirloin Steak, I thought this was cooked perfectly and was a surprisingly good piece of meat. While I don’t love Sirloin, I thought the flavor was strong especially mixed with the Garlic Ginger sauce. Last of all, I enjoyed the sushi. No, it’s nowhere near the quality of what we have had in Japan but that’s hardly a knock on the dish. For being served in a theme park, we thought the quality was high. 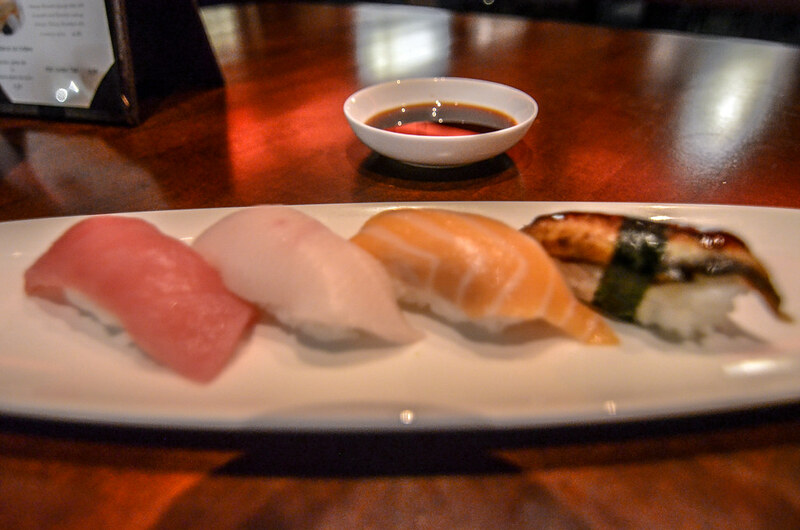 I especially liked the Tuna, which I think has the biggest variance in quality in terms of the popular sushi offerings. The shrimp was likewise full of flavor and tasty. Neither of us cared for the salmon as much. The Vegetable Roll was decent but not something that I would get by itself. Melissa ordered one of the sushi combinations, which came with the California Roll and some Nigiri. We both thought the California Roll was average in terms of flavor but very fresh. She had Yellowtail and Eel with the Nigiri she ordered, both of which we liked quite a bit. The Yellowtail was the better of the two with great flavor. Eel is similar to Tuna, in my opinion, in that there is a large variance in terms of quality. I didn’t think this was anything special but I’d still get this before the salmon. For dessert, Tokyo Dining serves three different cakes. Due to a mix-up in the kitchen and us being there really late, we were able to try all three cakes. 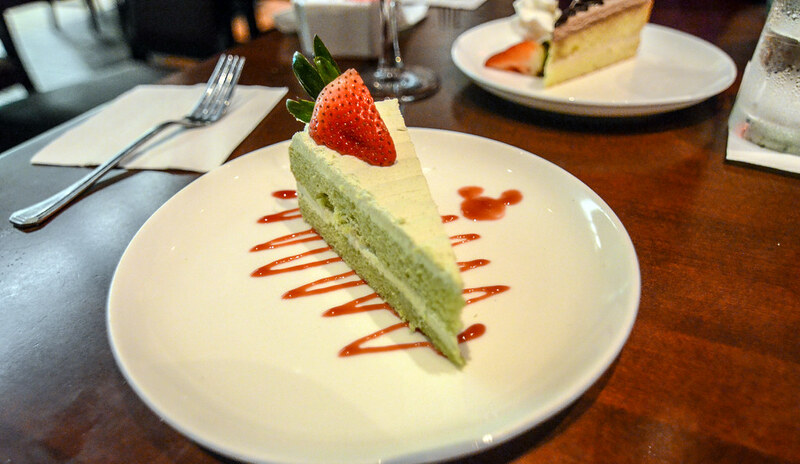 We both really liked the Mango Mousse Cake and Green Tea Mousse Cake. Both were moist and were fairly light along with a refreshing flavor. The Ginger Mousse Cake was a little more dry and neither of us love Ginger so it didn’t rank as favorably. As a whole, we really enjoyed our food at Tokyo Dining and thought there was decent value both for those paying out-of-pocket and for those on the Dining Plan. 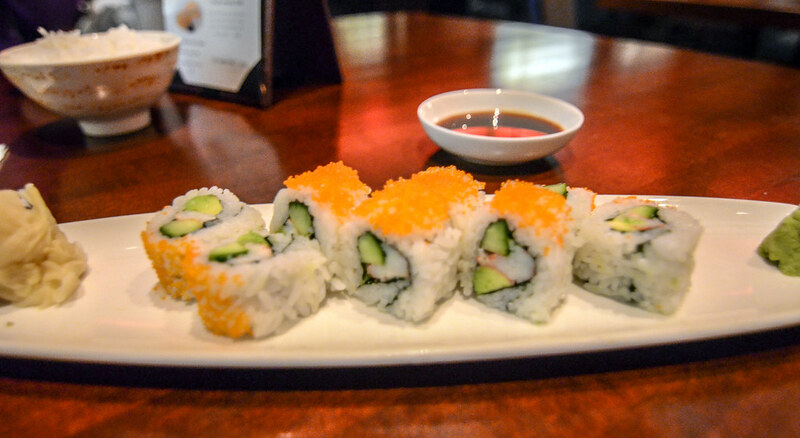 If you want some decent sushi and a relaxed sit-down meal that won’t break the bank then Tokyo Dining is a great place to go. Before the meal had even ended, we were talking about this becoming a good spot to go and enjoy a light meal one night when we wanted sushi. 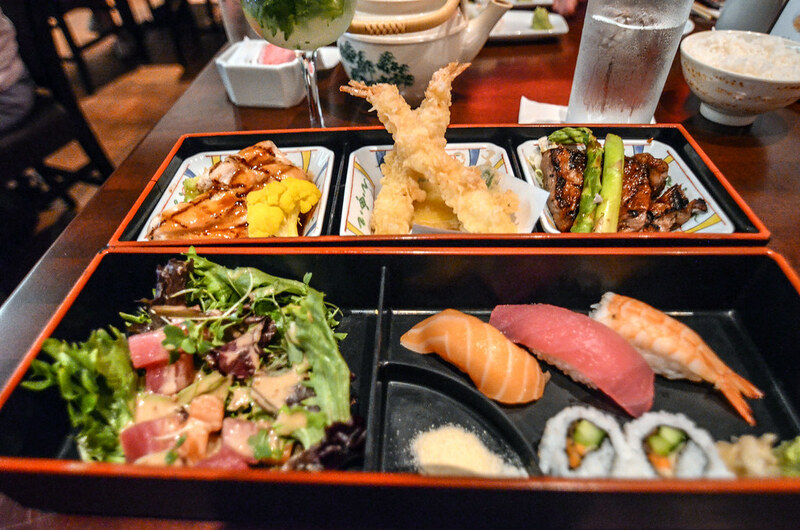 Likewise, if you are looking for a good value on the Dining Plan then getting the Bento Box and Lobster Tempura is a good option. The sushi is a pretty bad value on the Disney Dining Plan. Overall, we enjoyed Tokyo Dining. It’s not to be mistaken for the best restaurant in Disney World but it’s a solid option that offers some value. The sushi was fresh but not spectacular. Most of the other options we tried fit that bill, as well. Tokyo Dining likely won’t be anyone’s favorite meal of their Disney World trip but it’s a very solid option that you won’t regret. 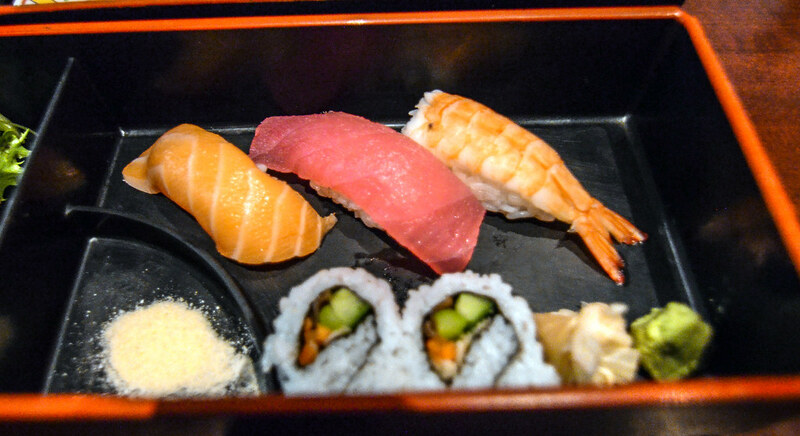 Have you tried Tokyo Dining? Let us know your thoughts or any questions you might have in the comments below. Planning a trip to Walt Disney World? Check out our Disney World Trip Planning Guide to help you out. If you enjoy what you are reading here on Wandering in Disney please share this post with your friends, as well as like our social media pages. You can also subscribe to the blog via WordPress or email. All of those links are on the right side of this page. Thank you for reading, we really appreciate it!